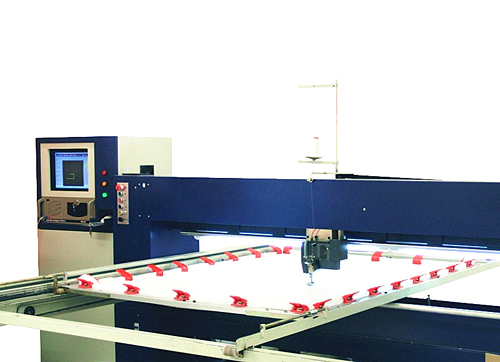 DHA Computerized Single-needle Quilting Machine is a new high efficiency and high automatic equipment developed by our company. It widely used to sewing many kind of beautiful patterns on the high grade cover of the mattress, bedding, home textile and so on. 1. Instead of the traditional drive shaft, the machine applies all servo transmission structure on the head, which is the most advanced technology in the world. The maximum speed is up to 2600RPM (the fastest and most efficient in like product). 2. The system bases on the WONDOWS operation. It is model and can be operated simple. 3. design edit and machine control are a whole, you can edit and modify design or adjust the length of step online（1-6mm）. 4. Display of working speed, reasons for stop, stitch, coordinates and design file directory, etc. 5. Edit embroidery design, edit design online. 6. 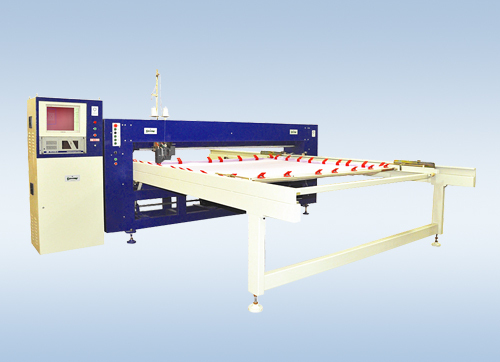 The machine has the function of thread break detection with high sensitivity. 7. 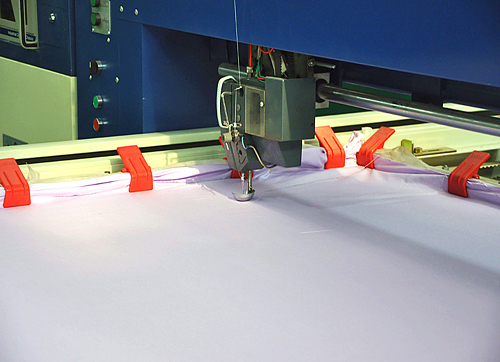 Automatic adjust design size and the position of sewing bed. 8. X/Y use servomotors to start with the high precision and flexible credible characteristics. 9. 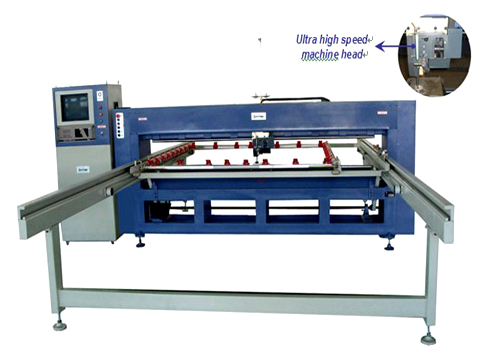 The machine-head is controlled by double servomotors; the running noisy of machine is low. 11. Multiple options can realize the coherence and save the time. 12. The needle is continually back and ahead for continued needle after the thread breaking. 13. The quilting can working as usual after power is fail according to data protection system. 14. The max step 100 million can increase according to your need. 15. The machine greatly simplifies the transmission structure, prolongs the service life and reduces the maintenance cost.